Lv Yuan (1929 -), born in Liaoning, Anton (Xian Dandong). A famous songwriter. Jiefang District in 1946 to participate in the propaganda team performances, began amateur creation. Since 1948 engaged in forestry and mining workers work in literature and art in Liaodong province. The winter of 1950, Northeastern University (now to Changchun Northeast Normal University) study. The central government in 1954 as a professional member of ensemble creation, chairman of the Arts Council. In 1963 he was appointed artistic director until 2000 in Zheng ensembles. The professional career of 50 years, Lv Yuan wrote more than 1000 songs, about 100 operas, drama and film music. 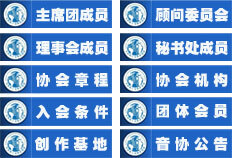 The song "Karamay song", "on this high Xingan Ling", "tomorrow", "beautiful country in August fifteen round moon", "there is a beautiful legend", "flying", "Butterfly fly to spring ring Ding Dong", "our life is full of sunshine", "song of peony", "tomorrow is sweeter than honey", "Long March" Qilu; otherwise, "Jinshatan", "Xisha family farewell, my lovely hometown" and so on many songs. These after grinding gravel oldies, still in the land of China sung. UNIT 3,6/F.,KAM HON INDUSTRIAL BUILDING, 8 WANG KWUN ROAD, KOWLOON BAY,HONGKONG.